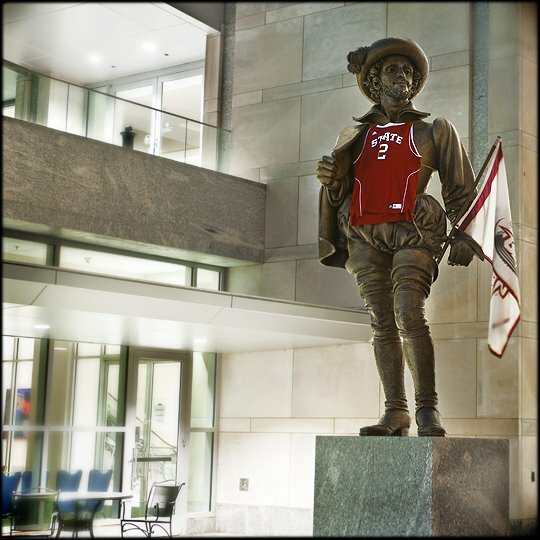 In light of NC State’s Sweet 16 appearance tonight, Sir Walter Raleigh is showing his loyalty by wearing a jersey. 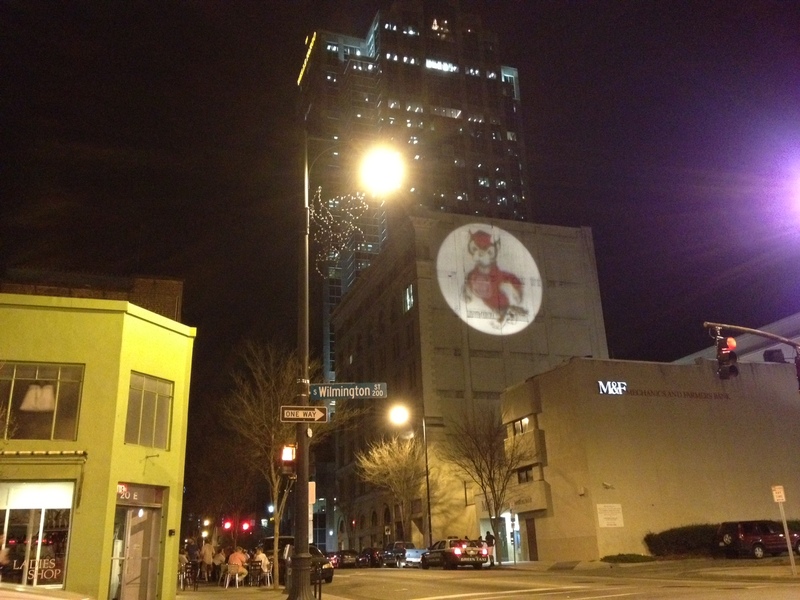 The back side of the Masonic Temple Building has seen a variety of projected images over the years, the most recent being an homage to Rembrandt. Now Tuffy looks out across the skyline.